The residents of Kororo Kingdom have gone missing! From pandas to puppies to pigs, these adorable round critters must be grouped in matching twos and sent home where they belong. Roll them around obstacles and reconnect them with their partners to ensure their safe return in the newest puzzle addiction to hit the DS! 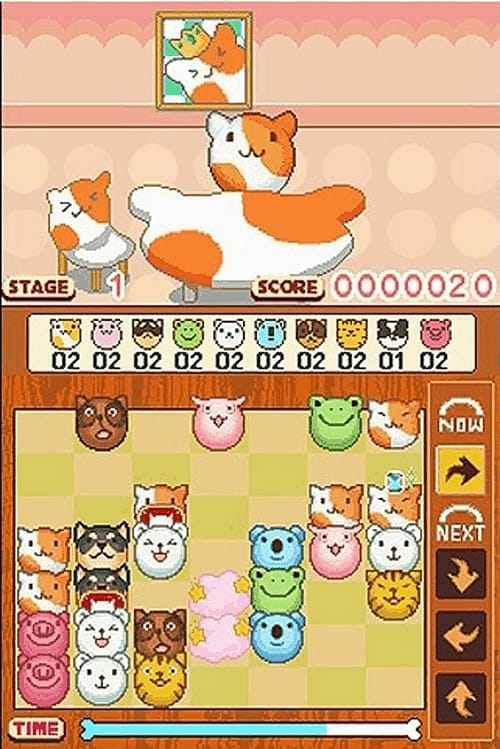 Use your Stylus to roll adorable animals around obstacles and into identical twos to eliminate them from the game board. Clear the board within the time limit to progress! Attack Mode: more appear and create additional obstacles while helping you eliminate enough pairs to proceed to the next level in fast paced, frantic action. 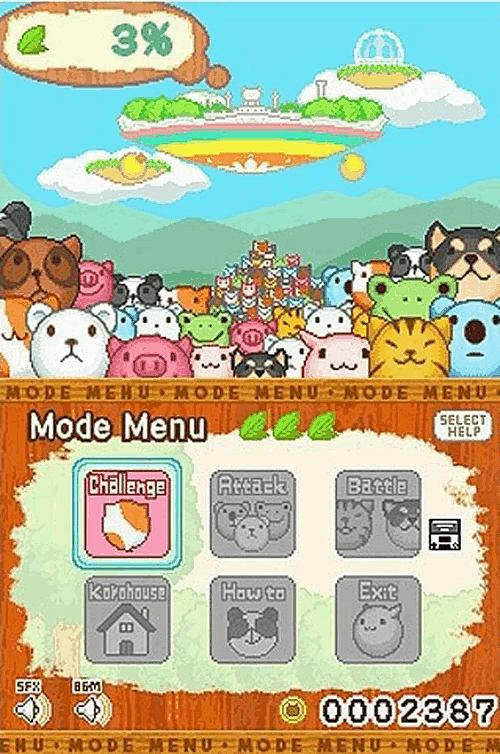 Challenge Mode: send all the animals home before time runs out as more obstacles appear in progressively difficult levels. 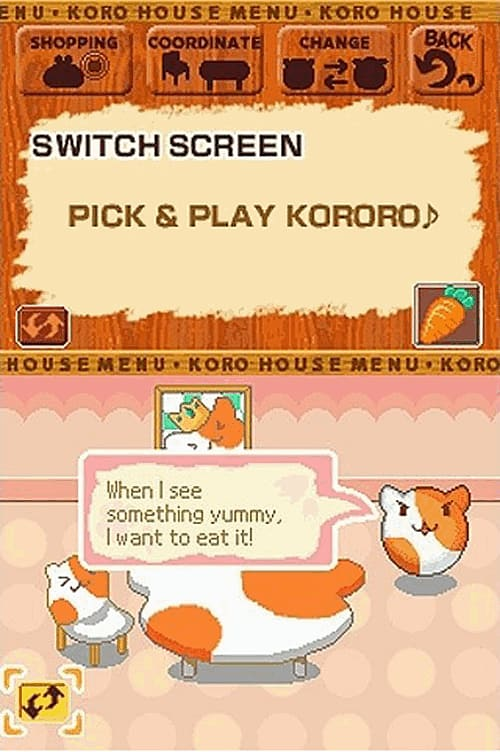 Kororo house Mode: design a home for your kororo by shopping for furniture, goods and the perfect room theme using currency earned in Challenge and Attack Modes. 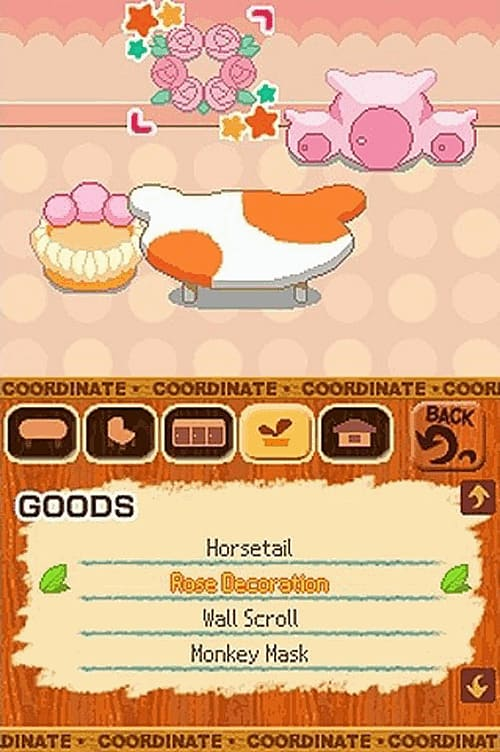 Coordinate your room to your liking and make your animal kororo as cozy as possible!